Thanks for keeping me informed throughout the transaction. The money arrived safely and on time. A great service which I appreciate. I will use you again and recommend you to friends. Very impressed with the service, 1st time i have used anything like it, and i was a bit worried but it arrived 1st post saturday morning. Will use your services again in September. Currency has arrived and I will spread the word about your good rates and service. Many thanks. Thank you for a faultless service and so simple. As if that was not enough, the rates you offered are much better than the normal sources as well as your direct internet competitors. 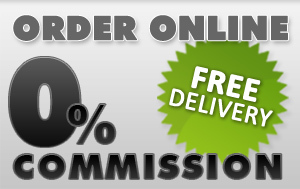 I will have no hesitation in sending your site details to all my friends and work contacts. May I thank you for removing one possible hassle whilst organising my trip to the USA. A quick note to thank you for the excellent way you helped me get a very good rate in dollars for the money I'm taking for the charity we run in Africa. I'll have no hesitation in recommending your services to other people and will contact you first when we are planning our next trip. I won't, however, leave it quite so late next time!